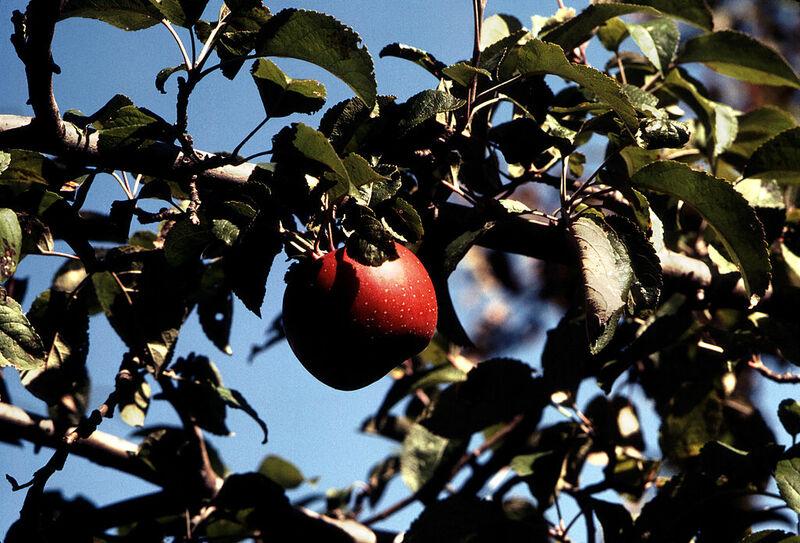 The origins of America's best-selling apples. The U.S. is the world's second largest apple producer, and with National Apple Month just around the corner, there's a whole lot to celebrate—and learn about. New varieties of apples take decades to cultivate, so most of the most popular ones have been around for quite awhile. Recently, though, a few (relatively) young upstarts have been climbing the charts. This sweet, crisp cross between the Golden Delicious and Kidd's Orange Red was discovered by New Zealand orchardist J.H. Kidd in the 1930s, and made its way to the U.S. in the '70s. They're also referred to as "Royal Gala Apples," in honor of Queen Elizabeth, who, on a visit to New Zealand, declared it her favorite. 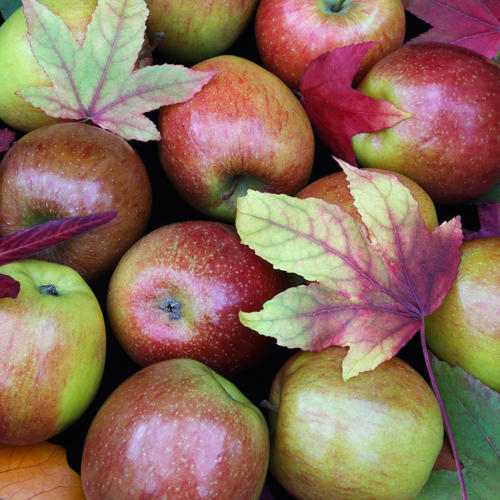 The signature U.S. apple dates back all the way to the 1870s, when it was first found in Iowa. Once the country's most dominant apple by far, sales struggled in the late '90s as shifting tastes lost American growers nearly $800 million in apple crops. Fujis apples were developed by researchers in Japan in the 1930s by combining Red Delicous and Ralls Janet apples. They took awhile to make it to the U.S. though—first brought to market in 1962, they only became available to buy in the US in the '80s, and have since been grown in the Yakima and Wenatchee regions of Eastern Washington. The distinctive green variety was discovered in Australia by Maria Anne "Granny" Smith, who found a seedling growing by a creek on her property in 1868. It made its way to the U.S. in the late 1960s, and has remained one of the most recognizable apples in the world. First widely availabe in mid-late 1990s, the Honeycrisp's surge in popularity took the slow-moving world of apples by storm. Developed by the University of Minnesota's apple breeding program over decades beginning in 1960, the apple was nearly thrown out, leaving the mystery of its specific parentage unsolved until this year (the Keepsake, and an unreleased variety known as MN1627). Discovered as a seedling on Anderson H. Mullins' farm in Clay County, West Virgina at the dawn of the 20th century, the Golden Delicious was called the "Mullins Yellow Seedling" until Stark Brothers Bought the rights in 1916. They changed the name to Golden Delicious in order to market a Red Delicious companion, though there's no actual relation. Named after John McIntosh, who discovered it as a seedling in 1881, this apple is also connected to an even bigger name. According to Steve Jobs biographer Walter Isaacson, early Apple employee Jef Raskin named the computer he was developing after his favorite variety, and added the Macintosh's "a" to avoid copyright issues. The Cripps Pink was created by Western Australia Department of Agriculture researcher John Cripps, who crossed the Golden Delicious with the Lady Williams in 1973. Licensed growers can sell their Cripps Pink apples as Pink Lady apples, which bear the first ever trademarked apple name. Another chance discovery, Braeburn apples were found growing in O. Moran's New Zealand orchard in 1952. Named after Braeburn Orchard, the first commercial orchard to grow it, the Braeburn was introduced to U.S. growers in the '80s. Another new and trademarked variety, the cross between Braeburn and Royal Gala was the subject of the some serious hype a few years ago. Created in 1985 as part of a collaboration between New Zealand Plant and Food Research, orchardists, and apple marketer ENZA, the accelerated program mean the Jazz apple hit stores "only" 18 years later.